Roku exceeded its third quarter revenue and profit outlook, driven by continued strength in its advertising business and better-than-expected demand for its streaming players. Total net revenue was up 39% year-on-year to US$173.4 million, platform revenue was up 74% year-on-year to US$100.1 million, while gross profit was up 58% year-on-year to US$79.0 million. Adjusted EBITDA of US$2.0 million and a net loss of US$9.5 million were also ahead of Roku’s outlook, with the company noting that “operating trends remain strong”. The company ended Q3 with 23.8 million active accounts, up 43% year-on-year, with more than half of new accounts coming from licensed sources, primarily Roku TVs. User engagement also increased during the quarter with users streaming 6.2 billion hours, up 63% year-on-year. Platform revenue represented 58% of total revenue compared 46% a year ago, with more than two-thirds coming from advertising services such as video ads, audience development and brand sponsorship on the Roku user interface. Streaming player revenue increased 9% year-over-year, driven by 15% unit growth, offset in part by a 5% decrease in average sales price. 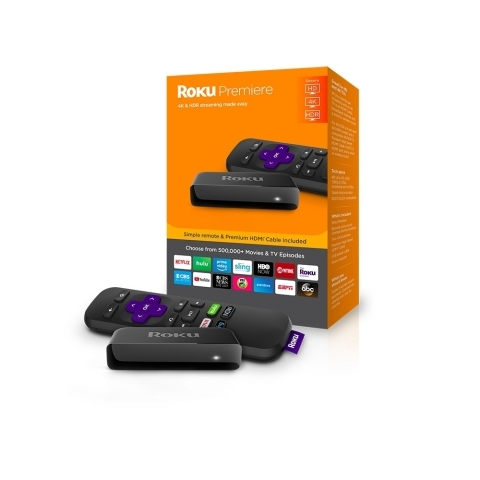 Demand for Roku’s low-priced players remained robust. “Based on our strong Q3 results and slightly higher expectations for Q4 revenue, we are again raising our full-year 2018 outlook,” said the company in its letter to shareholders. “We now see full-year revenue growth of 42% year-over-year at the midpoint, up from 40% year-over-year provided last quarter and from 31% year-over-year when we provided our outlook at the beginning of 2018.